Jeremy's Jam Jeremy Lin drives past the defense and finishes with the strong right-hand jam. ... top plays editor's picks ... Best of 2014, The. Jeremy Lin 2012 13 Season Top 10 In December. Video Link : Embed : Advertisement. 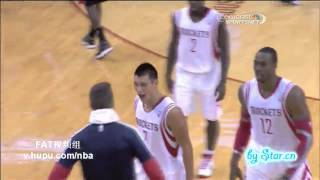 ... Hd Jeremy Lin 2013 14 Top 10 Plays 林书豪赛季10佳球 Video Clip.